IBM acquisitions Explorys and Phytel, IBM hopes to be the “go-to” cloud-based provider of health data able to deliver precision information to hospitals, insurance companies and researchers. The service may launch with medical device company Medtronics signed on to provide personalized care management for diabetes patients. Watson will use data collected from glucose monitors and insulin pumps to analyze patient information. Apple will work with IBM to use cloud services and analytics for its HealthKit and ResearchKit (click for infographic) initiatives. HealthKit aims to provide personalized health information for consumers, and ResearchKit offers a framework to help medical researchers design apps for clinical studies, which will hopefully speed up data collection and analysis. Both were announced as part of its rollout of the Apple Watch. Cleveland Clinic-backed Explorys hopes to tap a data mine of 50 million patients at 360 hospitals and more than 317,000 providers, and Phytel hopes to use Watson Health to provide population management services to healthcare organizations. 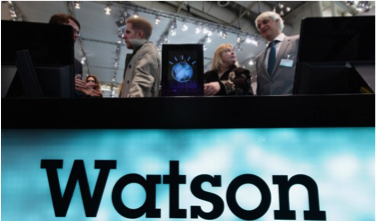 Only time will tell if Watson Health becomes the model for how big data shapes healthcare delivery, patient management, and research in the future, but the announcement provides the first glimpse of a concrete framework that could do just that.